There is no question that Green Lawn Abbey is an amazingly beautiful building. But it is more – much more. The Abbey also represents a community of people who care passionately about this place and are passionately devoted to not simply its restoration but to continuing and growing its legacy. 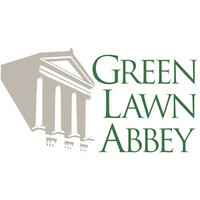 Green Lawn Abbey is an all-volunteer effort. Who are we? We’re all kind of people: preservationists, architects, attorneys, descendants of individuals interred at the Abbey and people who simply pitch in where needed. We come together and work to polish, paint and restore this magnificent building bit by bit. There’s a place for everybody! Can you spare some time on a Saturday once or twice a year? Want to help with movie night or our yard sale? Join the ranks of Green Lawn Abbey devotees by adding your name to the email list. Simply complete the form below and you will receive notices about work day opportunities, upcoming events and other news. We sincerely appreciate any time you can share.